Question 1: How will imports be taxed under GST? Answer: All imports will be deemed as inter-State supplies for the purposes of levy of GST. IGST is leviable on imports in addition to other duties of customs. Full set-off will be available as ITC of the IGST paid on import on goods and services. Question 2: How will exports be treated under GST? Answer: All exports will be deemed as inter-State supplies. Exports of goods and services will be treated as zero rated supplies. The exporter has the option either to export under bond/Letter of Undertaking without payment of tax and claim refund of ITC or pay IGST by utilizing ITC or in cash at the time of export and claim refund of IGST paid. Question 3: How can IGST be paid? If ITC of both IGST and CGST are exhausted, ITC of SGST shall be used. - Remaining IGST liability shall be discharged in cash. GST System will ensure maintenance of this hierarchy for payment of IGST using the credit. However, IGST on imports has to be paid in cash only. Answer: Provisions relating to refund are contained in section 54 of the CGST Act, 2017. It provides for refund of tax paid on zero-rated supplies of goods or services or on inputs or input services used in making such zero- rated supplies, or refund of tax on the supply of goods regarded as deemed exports, or refund of unutilized input tax credit. Identical provisions exist under the IGST Act, 2017 and relevant SGST/UTGST Acts. Question 5: Can unutilized input tax credit be allowed as refund to exporters? (ii) the exporter claims drawback of CGST or refund of IGST paid on such export. Question 6: What is the procedure for claiming refund by exporters? Answer: Refund can be claimed by filing an application electronically in prescribed form along with required documents through the Common Portal, either directly or through a Facilitation Centre notified by the Commissioner. The refundable amount shall be electronically credited to any of the bank accounts of the applicant mentioned in his registration particulars and as specified in the application for refund.For details Chapter X of the CGST Rules, 2017 relating to refund may be referred to. In case of refund of IGST, the shipping bill filed with the Customs is treated as an application for refund if the exporter has filed a valid return in Form GSTR- 3/3B and the person in-charge of the conveyance carrying the goods to be exported has furnished an export manifest/report. Upon receipt of information regarding furnishing of a valid return in FORM GSTR-3 or FORM GSTR-3B by the exporter from the Common Portal, the Customs authorities at the port of export shall process the claim for refund and an amount equal to the integrated tax paid in respect of each shipping bill shall be electronically credited to the bank account of the exporter. Question 7: What is the time limit for grant of refund? Answer: Refundable amount shall be sanctioned within 60 days from the date of receipt of application complete in all respects. However, as a measure of facilitation to exporters, except for certain notified categories, ninety per cent of the amount excluding the amount of input tax credit provisionally accepted will be refunded provisionally within seven days from the date of acknowledgement. Question 8: Will the principle of unjust enrichment apply to exports? Answer: The principle of unjust enrichment is not applicable in case of exports of goods or services as the recipient is located outside the taxable territory. Question 9: Today under VAT/CST merchant exporters can purchase goods without payment of tax on furnishing of a declaration form. Will this system be there in GST? Answer: No, there is no such provision in GST. Tax will be payable on their inward supplies and they can claim refund of the accumulated ITC. Question 10: Whether goods sent by a taxable person to a job worker be treated as supply and will they be liable to GST? (ii) supply such inputs or capital goods, within such prescribed period, on payment of tax within India, or with or without payment of tax for export, as the case may be. If the goods or, capital goods, as the case may be, are not returned to the principal within the time specified above, the same shall be deemed to have been supplied by the principal to the job worker on the date the goods were sent out to the job worker and the principal shall be required to pay tax accordingly on such supplies. Question 11: Is a job worker required to take registration? Answer: As job work is a service, it would be considered a supply and the job worker would be required to obtain registration if his aggregate turnover exceeds the prescribed threshold of Rs.20 lakhs or, as the case may be, Rs.10 Lakhs. Question 12: Whether exemption from all duties of Customs be available on imports under exemption schemes such as EPCG, Advance licence etc under GST regime? Answer: No. Exemption will be available only from Basic Customs Duty. IGST will be payable on such imports. However, the importer can avail ITC of IGST paid and utilise the same or claim refund in accordance with the provisions of the CGST Act, 2017 and rules made there under. Question 13: Can duty credit scrips received as incentive by exporters such as MEIS, SEIS etc be utilised for payment of all duties at the time of import? Answer: No, these scrips can be utilised only for payment of Basic Customs duty. 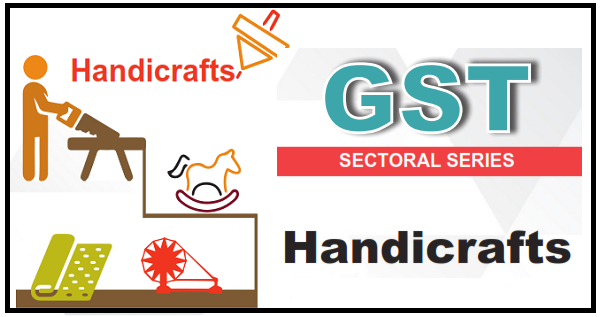 IGST cannot be paid by utilising these scrips. Question 14: Will drawback at higher rate be available to handicraft exporters who do not avail Input Tax Credit (ITC) like presently available to those who do not avail CENVAT credit? Answer: No. There will be no difference in rate of Drawback for exporters not availing ITC in GST regime. In GST regime, drawback will be admissible only at lower rate determined on the basis of customs duties paid on imported materials used in the manufacture of export goods. However, as an export facilitation measure, for the transition period of 3 months from July to September, 2017, drawback at higher composite rates will continue to be granted subject to the condition that no input tax credit of CGST/IGST is claimed, no refund of IGST paid on export goods is claimed and no CENVAT credit is carried forward. Question 15: Is GST payable on consideration received for sale of scrips? Answer: Yes. Scrips are goods and sale of scrips has to be treated as supply of goods. GST at applicable rate will therefore be payable.